Designing a holiday apartment building at a seaside holyday resort lead us to a pavilionar building connected by an open to the nature runway. One of the goals was to preserve the natural context of the area and especially the existing old oak trees. 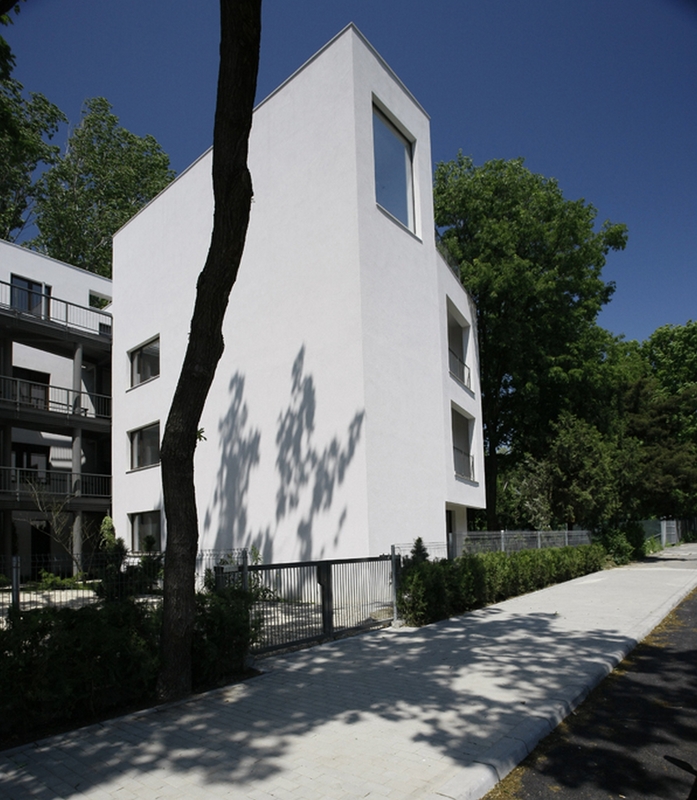 The building is made of 3 units, built among trees.The access is provided (both horizontally and vertically) by a fourth, constructively-independent (cursive) structure. Thus the access to the apartments is a walk through the trees and columns on the slopes that open to a variety of views of the inner court. 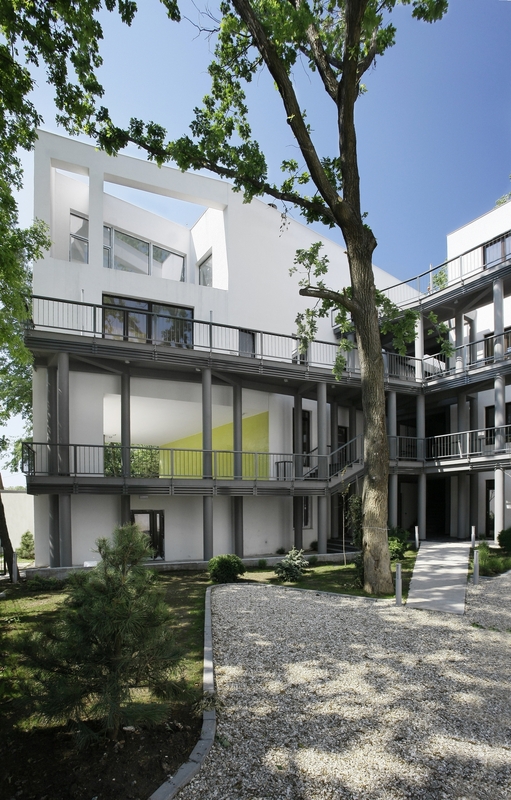 The trees offer strong shade in the warm summer days, so larger windows on the sunny facades were also possible. The shared pool is located on the top floor SE and crossroads oriented.